The Varsity Inn building was built in 1905 and has served as a Methodist retreat, a one room schoolhouse, and a private residence. After World War II, it was the Florida Inn Restaurant. In the 1960's it was the White Whale Coffee House, a place for locals and visitors to "hang out." 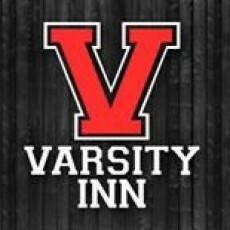 In 1969 the Symonds Family purchased the property and the Varsity Inn Restaurant celebrated its first summer in 1970. This old building has served many generations of Ocean City locals and visitors alike. Unfortunately she needed some tender loving care and a facelift. We hope you like our new, bright, and clean dining room, as it is our hope to bring customers the same caring service and great American food they are accustomed to.